On September 1, 2010, six trucks were at the K1 Racing Speedway for dinner, and nicknamed the event “Din Din A Go Go”. Piaggio on Wheels, Dos Chinos, Crepes Bonaparte, Tropical Shave Ice, White Rabbit, and LomoArigato were there. (Are the names sounding familar now?) The event was from 5:30-9 pm, and Kogi BBQ pulled up at the end of the parking lot, drawing just a little attention. 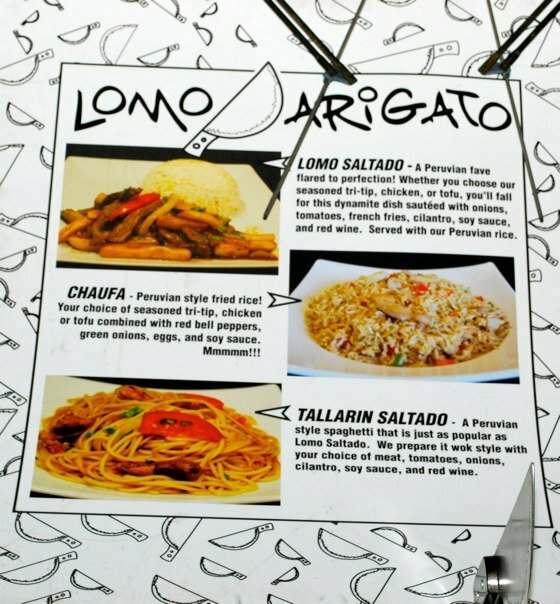 It was on this day that I decided to blog about my truck findings, so I only took one picture… the rare OC appearance by White Rabbit, a Filipino-fusion truck and LomoArigato’s menu. OC Truck Summit: Lime Truck, SeaBird Truck, Oh For Sweets Sake!